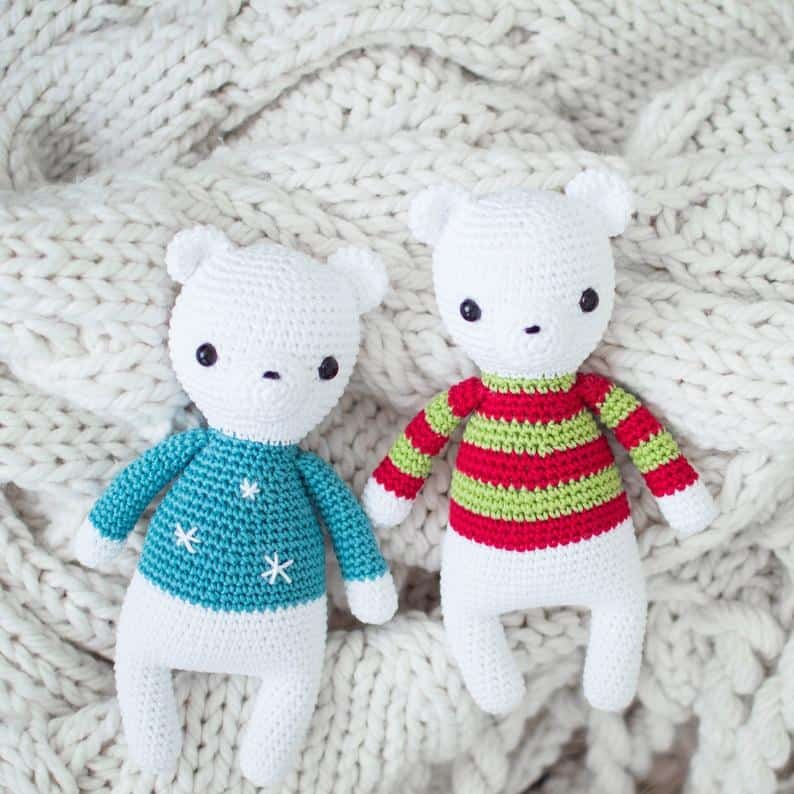 You’ll love these amigurumi polar bears! 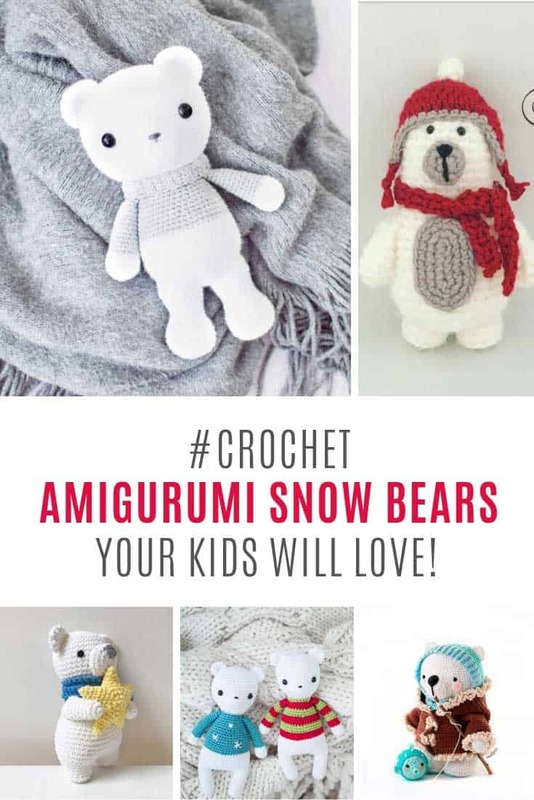 These crochet patterns are easy to follow and make adorable toys kids will enjoy playing with! 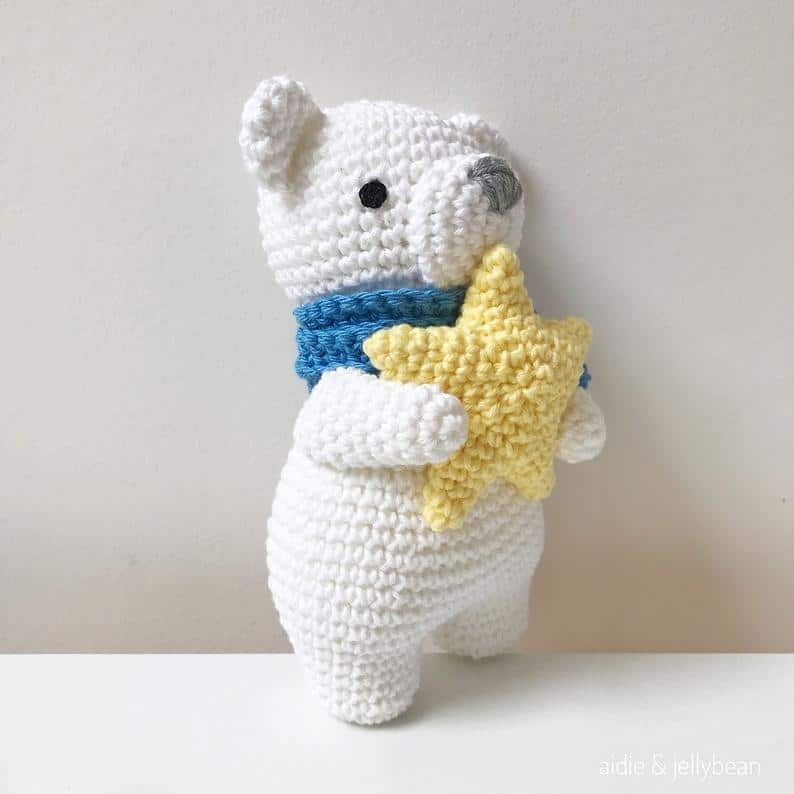 What’s not to love about a snow bear? 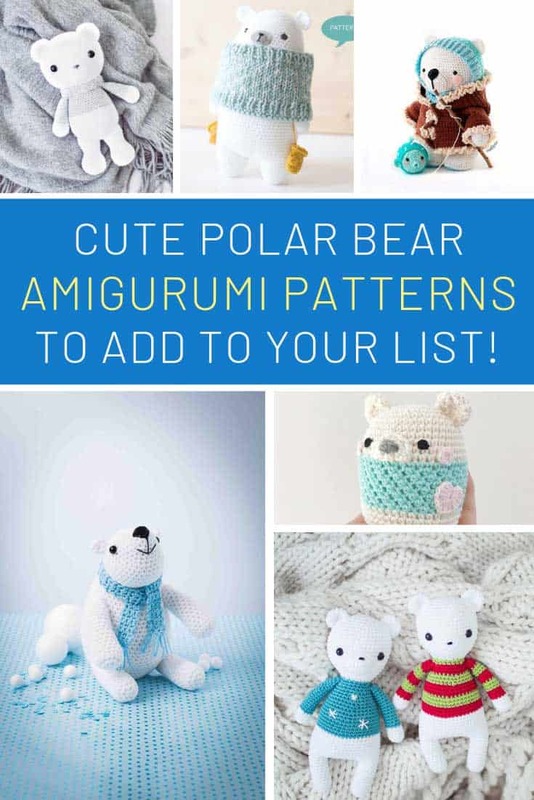 As we continue our collection of animal crochet patterns I just had to share these adorable amigurumi polar bears! 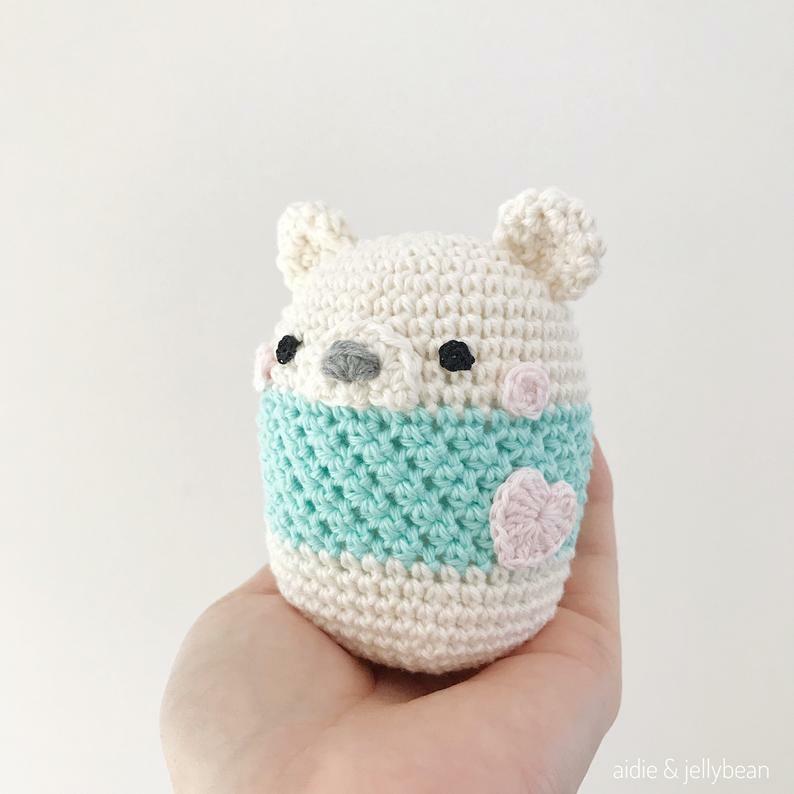 This sweet bear is about 9 inches tall and is nice and cozy in his winter jumper! He sure would make a cute baby shower gift don’t you think! Oh my goodness! Isn’t he just the cutest thing! 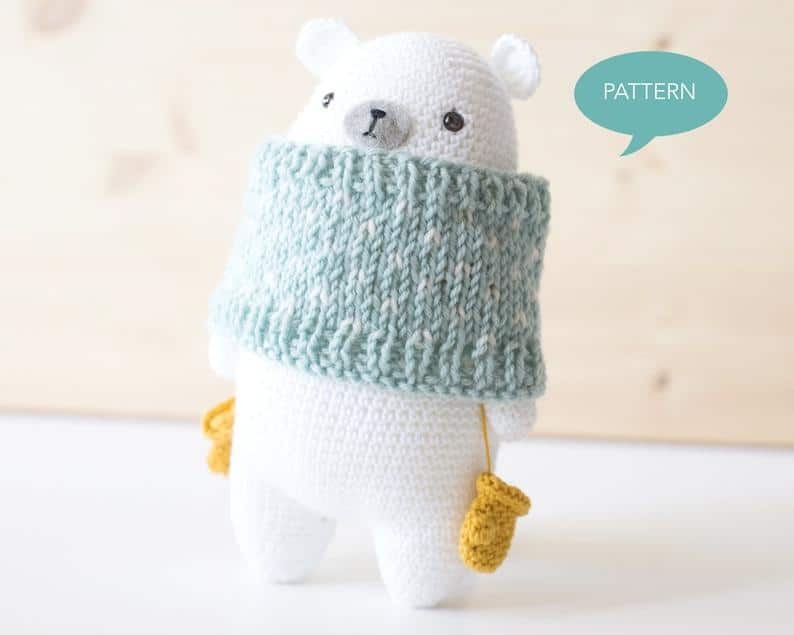 I laughed out loud when I saw this ice bear squeezed into his poncho with is little mittens hanging down! 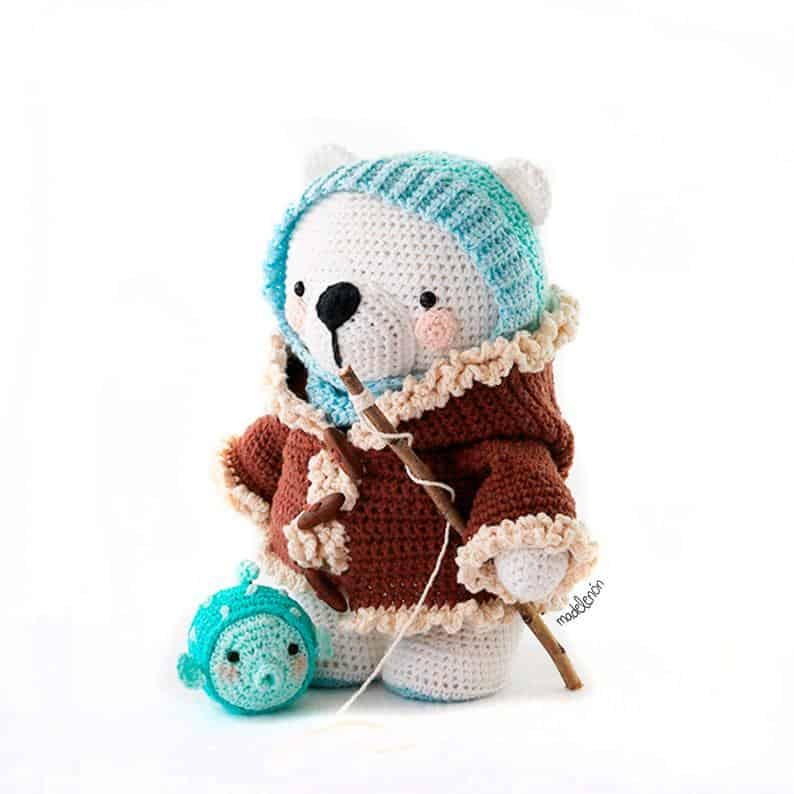 This little snow bear has got the right idea bundling up warm in his sheepskin jacket and hat before he goes out to catch himself a fish! This little guy is quite famous don’t you know. He was the cover star on the Love Crochet magazine! 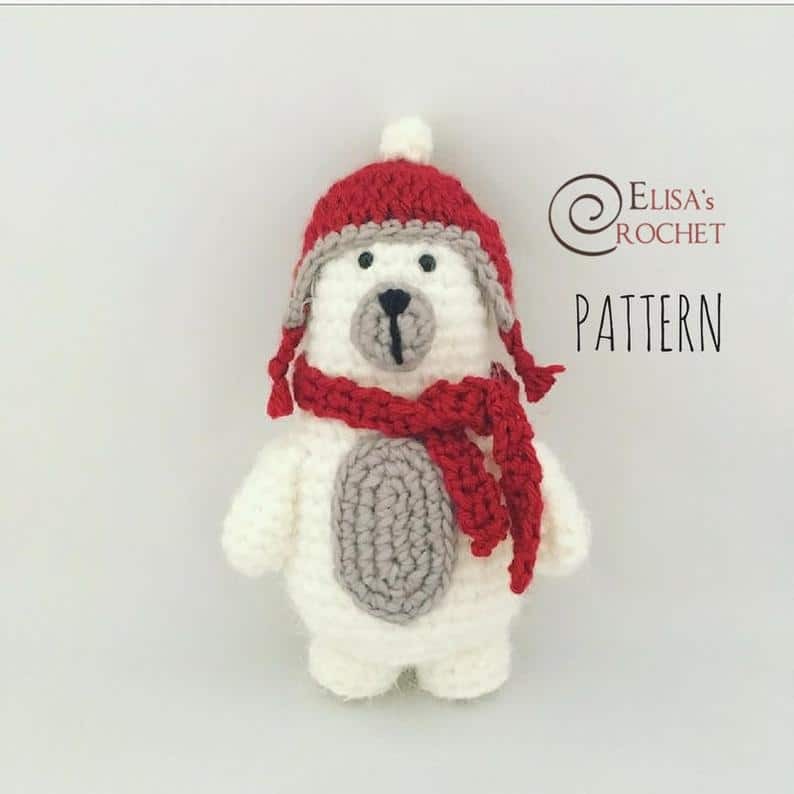 If you’re looking for a beginner friendly polar bear pattern here he is! This is Ted and he’s about 8 inches tall and loves dressing up in his winter hat and scarf! 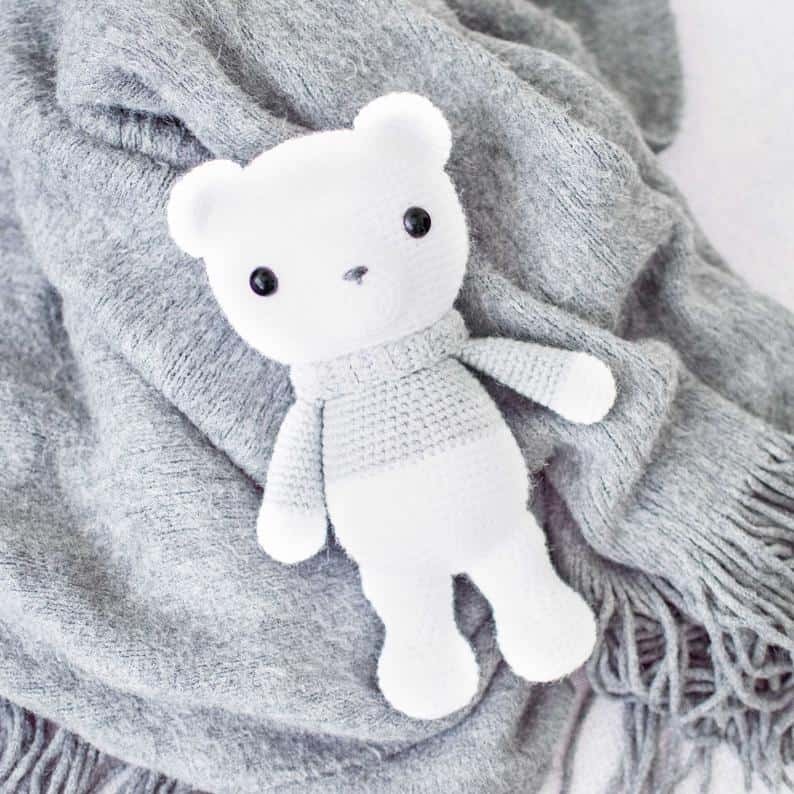 If your little one needs a sleep buddy you need to check out this sweet dreams polar bear pattern. So cute and with two different jumper designs too! 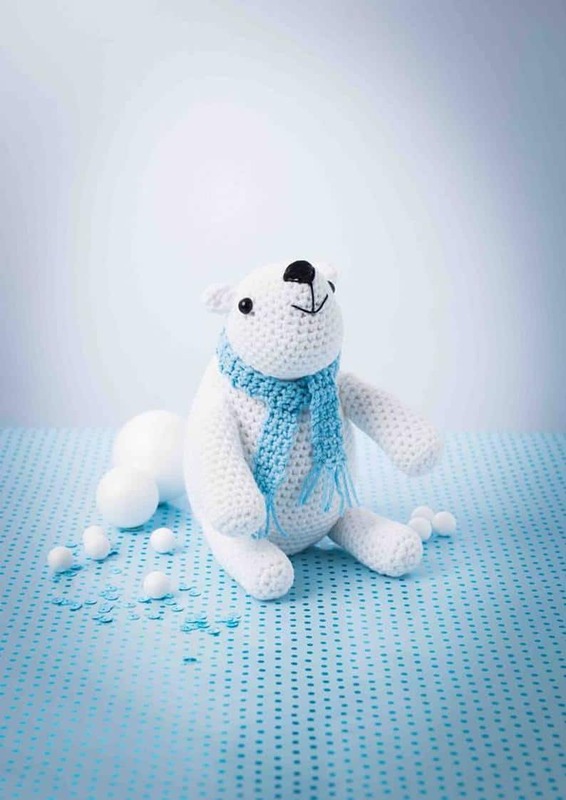 And let’s finish up our collection of amigurumi polar bear patterns with this cute little fellow. He’s called Astro and he comes bearing a star to welcome in the night. He’s the perfect pal for bedtime.